As I’ve probably said a thousand times, coming up with side dishes is the hardest part in menu planning for me. Summer makes it a ton easier because you can just take fresh produce (or fruit) and toss with some olive oil, or balsamic vinegar, season with some salt and pepper and you are good to go. I found this recipe in the Food Network Magazine and ripped out the page right away. 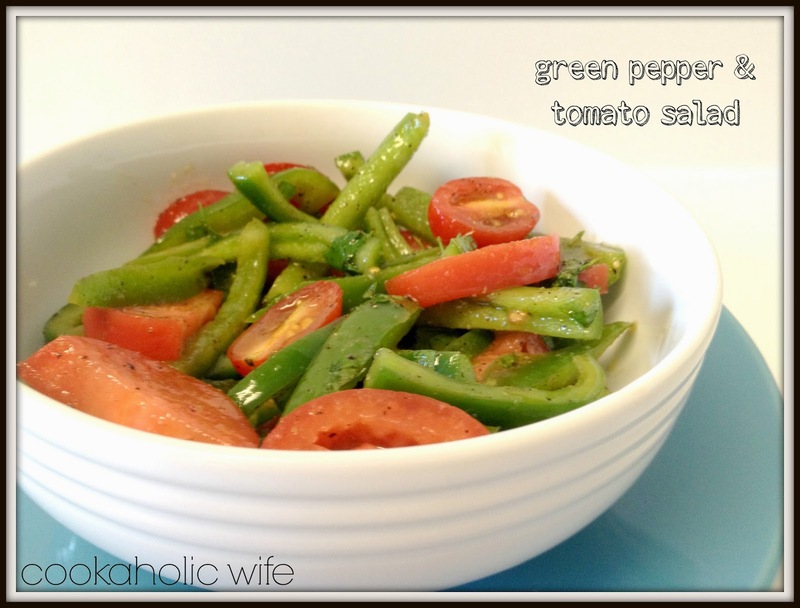 Tomatoes (while not fresh Maryland tomatoes that taste a gazillion times better, but still tomatoes) and green peppers are available year round and this quick and easy salad might just be enough to get me through those ugly cold winter months. 1. 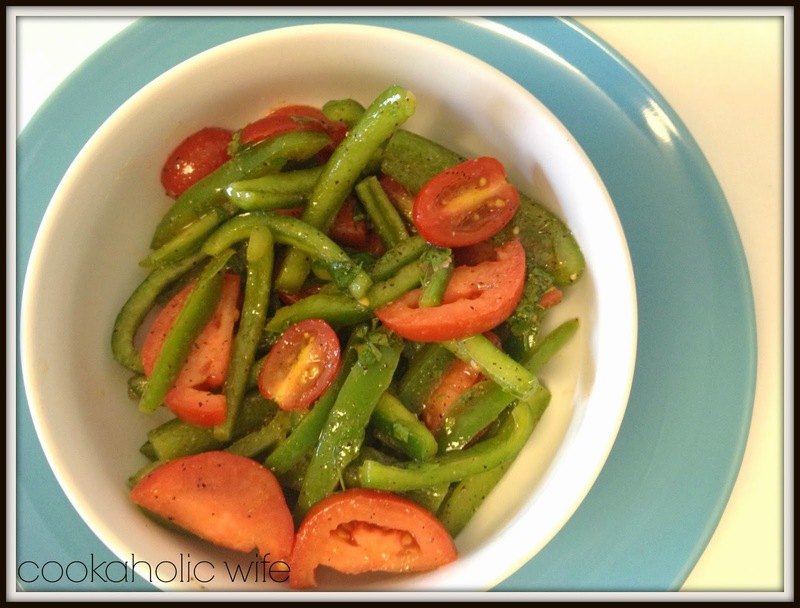 Thinly slice green pepper into strips. Dice tomato into quarters. 2. In a medium bowl, whisk together the olive oil, hot sauce, lemon, garlic, parsley, salt and pepper. Add green pepper and tomato. Toss to coat. 3. Serve cold or at room temperature. It doesn’t get much easier than that, does it? You could easily whip up this entire salad while one side of your chicken breast browned or your steak was on the grill, or whatever you were making was cooking away.